The prospect of Oprah Winfrey’s best friend, Gayle King, teaming up with Charlie Rose to rescue The Early Show on CBS may be just what it takes to rouse WBBM-Channel 2’s local morning newscast from its self-induced stupor. 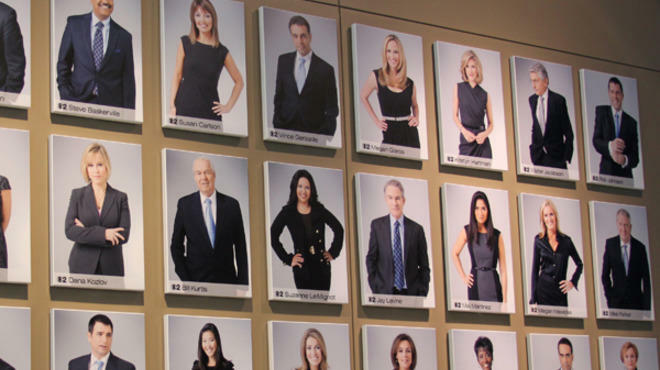 The network move is likely to increase pressure on Chicago bosses to fix their CBS 2 Morning News, which has been without a permanent anchor team since July and continues to run dead last in the ratings. In the November Nielsens so far, the show’s 6-to-7am hour finishes fifth in a five-way race with a 0.8 household rating, and a dismal 0.3 rating among viewers between the ages of 25 and 54. CBS 2 general manager Bruno Cohen and news director Jeff Kiernan have shown no urgency to make their 4:30-to-7am weekday news block more competitive since Steve Bartelstein was released from his contract after only 10 months last July. Veteran reporter and weekend news anchor Jim Williams has been filling in alongside co-anchor Susan Carlson, although Williams has never expressed interest in securing the role permanently. Repeated efforts to pin down Cohen and Kiernan on their plans for the show — or even on a time frame for a decision — have been met with “no comments” from a CBS 2 spokeswoman. One reason for the station’s reluctance to move more quickly may be the fiasco that ensued when Cohen and Kiernan debuted Monsters and Money in the Morning, a four-headed gabfest starring Mike North, Dan Jiggetts, Terry Savage and Mike Hegedus, as a low-budget alternative to traditional local morning news shows. When the show failed to gain traction in the ratings, Cohen and Kiernan’s bosses forced them to pull the plug after seven months and return to more standard fare in August 2010. While it’s true that CBS 2’s morning newscast is the only one in the market to show an increase over last November — up 33 percent for the month so far — it remains a distant also-ran, drawing fewer than 28,000 households during the 6am hour. That’s even less than Fox-owned WFLD-Channel 32’s dead-on-arrival Good Day Chicago. But with CBS gambling on King and Rose to increase viewer sampling, it only makes sense for the network’s Chicago station to capitalize on the attention and get going in the morning. They’ve been hitting the snooze button long enough.